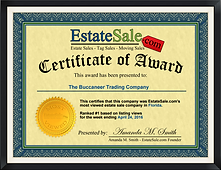 What We Buy, Sell, Trade & Appraise – The Treasure Traders, Inc.
We Are In Need Of High Quality Merchandise, Entire Estates, Complete Collections, Personal Property, Family Heirlooms, Treasures & Valuables. To Support Our Customers High Demand We Must Buy, Broker & Consign More Merchandise - We Are Paying Premium Prices To Acquire The Items Listed Below. If You Have Any Of These Items Please Call Us @ (727) 484-0146. The Highlighted Items Are In High Demand & We Are Paying Very High Premium Prices To Acquire These Items. So Do Not Delay Get Your Free Evaluation, Verbal Appraisal and No Obligation Cash Offer Today.